How’s this for counterintuitive? 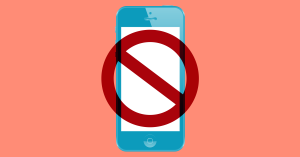 A smartphone maker wants you to use your smartphone less. Apple’s 2018 Worldwide Developers Conference (WWDC) kicked off Monday morning with the keynote address from CEO Tim Cook. During the event, Cook unveiled iOS12, a new update to the operating system (OS) that runs on iPhones and iPads. And it will include features designed to get users to turn off their devices. iOS12 will be available for public beta testing later this month, and it should roll out to all users around September. 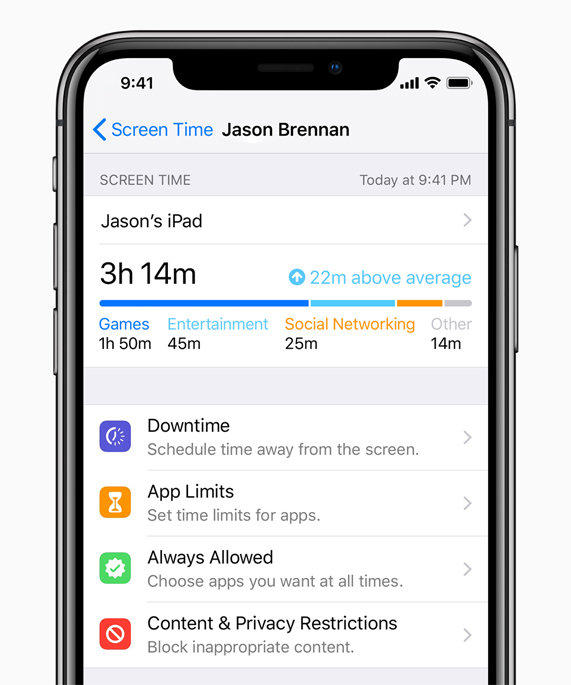 Once they download the OS, users will have access to a new section called Screen Time, which contains several features designed to help them better understand and manage how they use their devices. The App Limits feature lets users — you guessed it — set a limit for the amount of time they can spend in each app. As the limit approaches, users receive a notification from the app. Of course, they could always just increase the time limit, so they’ll need to rely on at least a little willpower to adhere to whatever limits they set for themselves. The Downtime feature lets users specify a certain period in when they can’t use their device — when they should be asleep, for example. With Downtime enabled, users can’t receive notifications and won’t be able to use any apps unless they designate them as Always Allowed, which overrides Downtime. Helpful for parents waiting for a text from their child at a sleepover but who might not want every news update from the New York Times in the interim. iOS12 also include a feature that lets users group all the notifications from an app into one notification. Instead of having to sift through a dozen Facebook notifications when a dozen people reply to a post, for example, a user could choose to receive just one notification. So: why, exactly, is Apple trying to help users spend less time on their iPhones or iPads? One good guess? It’s part of an industry-wide push to address the issue of device addiction, particularly in children and teens. Last month, Google unveiled an initiative to help people manage their time on their devices, and Facebook claims to be researching the issue, too. In January, two of Apple’s major investors asked the company in an open letter to explore ways to empower parents who want to limit their children’s device usage, noting the many research-backed negative consequences of excessive screen time. While these new iOS12 features might have been created to make nice with investors and generate some positive PR, we really do have an unhealthy relationship with our devices. So maybe they’ll be useful, after all. Apple’s new tools take us a little closer to looking away from the screen and engaging in our real lives. Now all we have to do is respect the limits we set for ourselves.